We’re having a Sydney pub meet on Tuesday the 24th of June 2014 and you’re invited. Come along, say hi, and have a chat about open government, transparency, FOI, and civic hacking with us and friends. You can even get a sneak peek at our upcoming project. We’ll be sitting by the fire in the cosy Library room of the Woolpack Hotel, which is a short walk from Central Station. There’s good pub food and craft beers on tap – join us at 6:30 PM (for 7 PM). Please RSVP so we can make sure they have room for us. You can find all the details on the Eventbrite page. 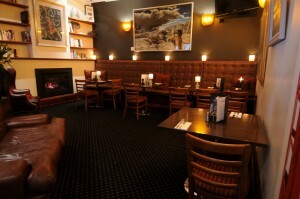 This entry was posted in Announcement, Event and tagged Beers, meet up, Sydney, Woolpack Hotel. Bookmark the permalink. Post a comment or leave a trackback: Trackback URL.